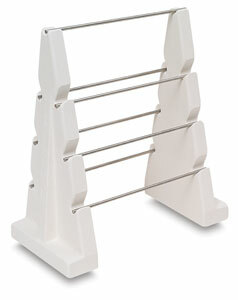 Fire macramé beads and other hanging objects with this versatile, space-saving tool that has two durable stoneware supports and seven heavy-gauge wires. 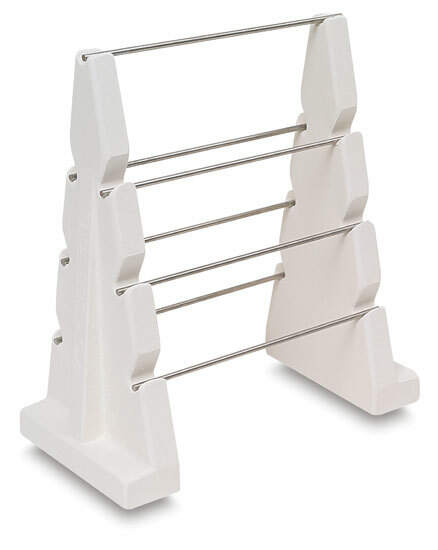 Each 9-gauge (.114") wire measures 6" long and can be staggered on the rack as needed to accommodate any size object. The Star Bead Tree can withstand multiple firings. It has a maximum firing temperature of Cone 10 (2400°F). Note — Do not use for Raku firing. ™ The Ceramic Shop is a trademark.